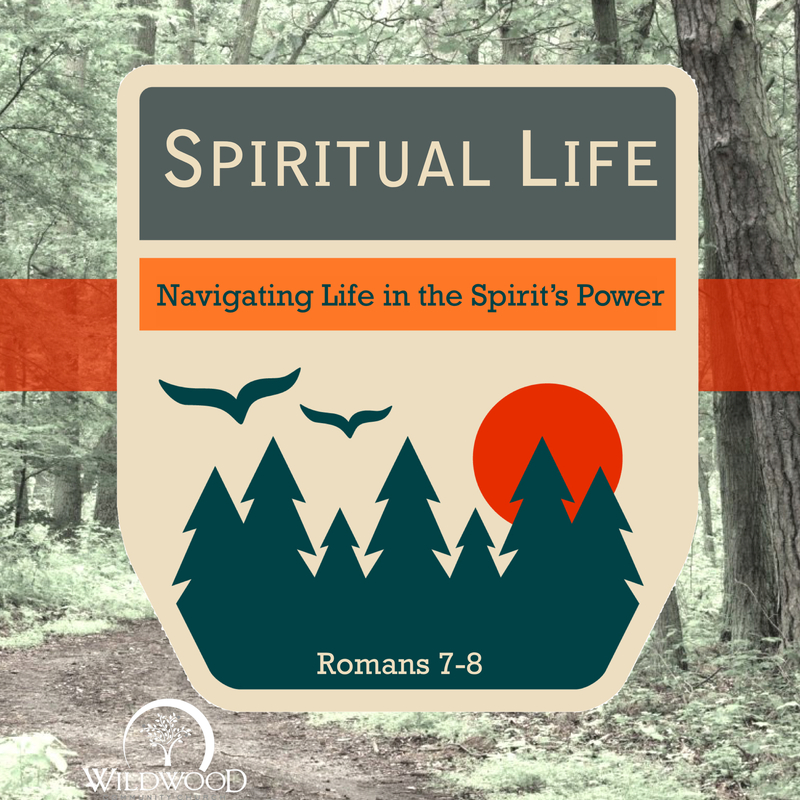 On Sunday, April 17, 2016 at Wildwood Community Church, I preached a sermon based on Romans 8:1-11. This message was part 3 of the “Spiritual Life” series. Below are a set of questions for further reflection or group discussion related to the message. At the end of LAST WEEK’s sermon, we looked at Romans 7:24-25 and saw Paul crying out for Jesus to save him from his struggle with sin in this life. What is a current area of your life where you are “crying out to Jesus” to save you from an ongoing struggle with sin? In 8:1, Paul says that there is “no condemnation” for those who are in Christ Jesus. The passage does NOT say, there are “no sins” among the Christians, or “no temptation” among the Christians, but “no condemnation.” What does it mean for there to be “no condemnation” for tempted/sinful people like you and me? In 8:4 we see that we are saved in order that “the righteous requirement of the Law might be fulfilled in us.” This is a statement promising our sanctification and progress in holy living. God has secured this by giving us His Spirit to empower us in this direction. This is a commitment God has for every Christian. What evidence have you had in your Christian life that God has been maturing you in your faith? How does someone live their life “according to” the power of the Holy Spirit and not “according to” the flesh? To download a pdf copy of these questions, click here.